A few weeks ago I posted 6 tips for taking better ring shots. It was such a fun blog post to put together, and I'm happy to know that it was helpful for a few photographers out there! 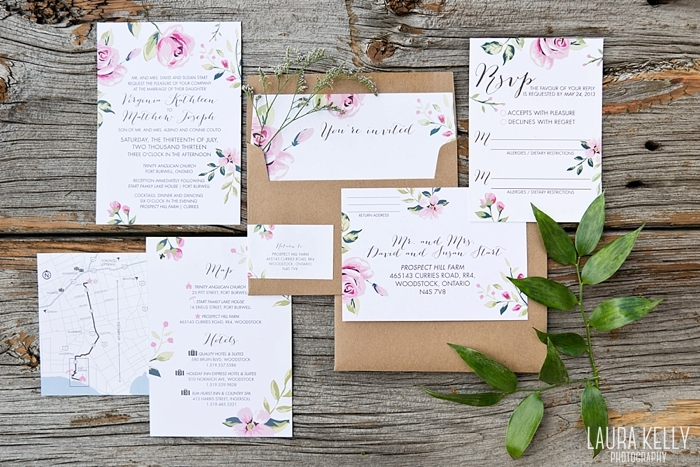 So, what better time to put together a few tips & tricks for taking photos of the invitation suite?! Enjoy! A good macro lens will give you that crisp, in-focused look that's SO important when you're photographing text. 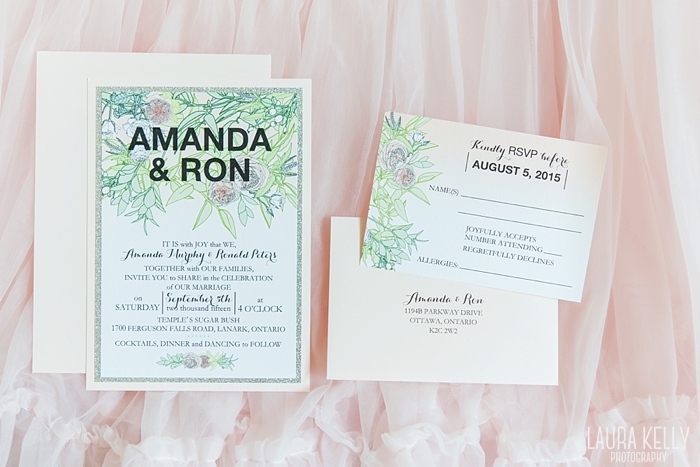 Since the first rule of invitation shots is that it has to be readable, a proper focus is really critical. I use a 60mm macro and I typically shoot between f3.5 and f4.5. You know you're standing directly over your invitation suite if you're practically in the splits and your abs are burning. 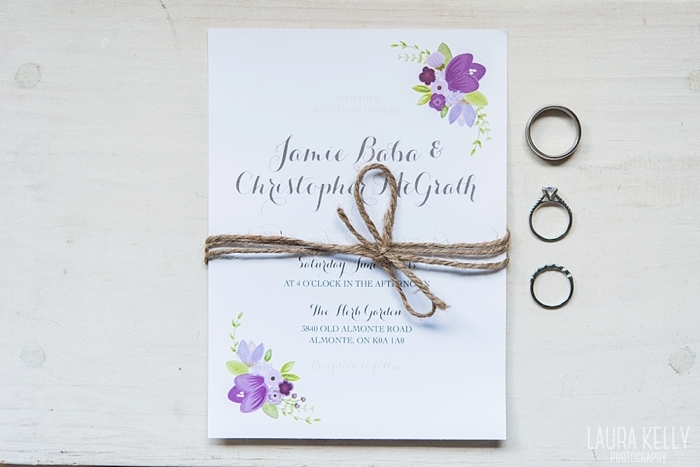 A good invitation shot is easy on the eyes and that comes from keeping the proportions intact. If you're angled too much in one direction, your paper goods will never appear to line up properly. When I can't seem to stand tall enough to capture the entire invitation suite, I switch to a wider lens, like the 24-70mm. 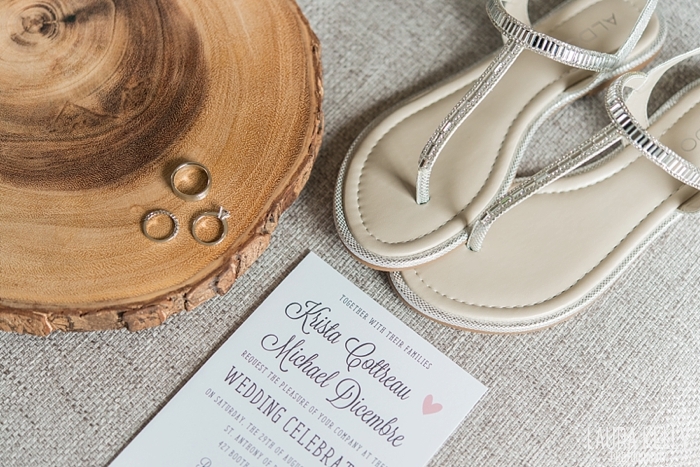 Just like the third tip in my ring shots post, this next point is about including elements from the wedding day to make the invitation photos match the entire collection. I like to incorporate things like a bridesmaids dress, some of the wedding jewellery, and maybe even a few leftover DIY elements like ribbon or twine. Sometimes though, an invitation shot is best left simple. In the photo below, I've taken the main piece aside to capture it on its own. I love starting an album design with an invitation shot on the first spread as a way of getting the facts across (i.e. date & location). 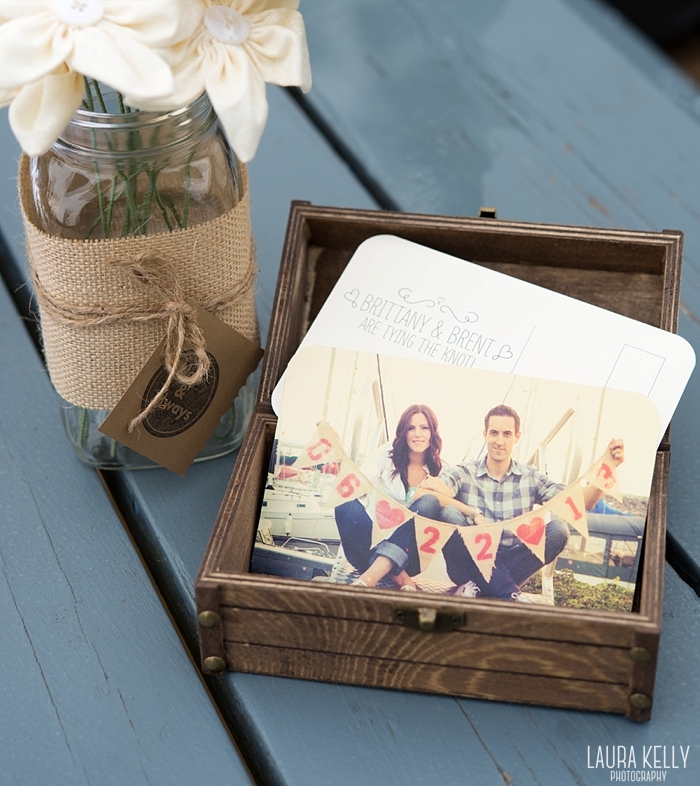 Isolating each piece of the suite is also a great tip for making publishable invitation photos. 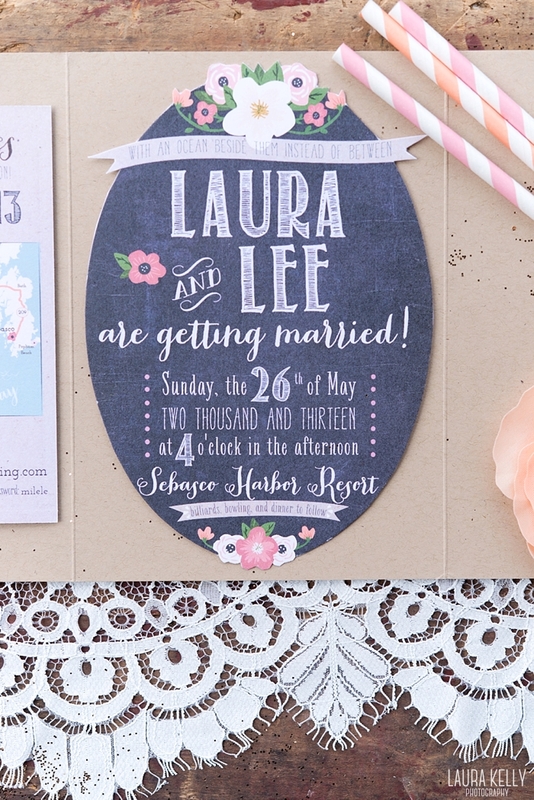 Readers and Editors of wedding blogs love to see closeups of the paper designs, colours, and fonts. I tend to take these shots vertically for the most part to allow for the editor to place a complimentary photo beside it. Throw the rules out the window on occasion, just to keep your portfolio fresh. Challenge yourself to do something different, whether it be styling the invitation with elements you've never used before, or playing around with the angles. A good invitation photo isn't always perfect-looking. When I'm shooting details on the morning of the wedding, I like to put all of my details in one place so I can play around with them in my tiny workspace. The photo below started as a test shot for something I was shooting to my right. I looked at the back of my camera and I liked what I saw, even though it wasn't perfectly arranged. 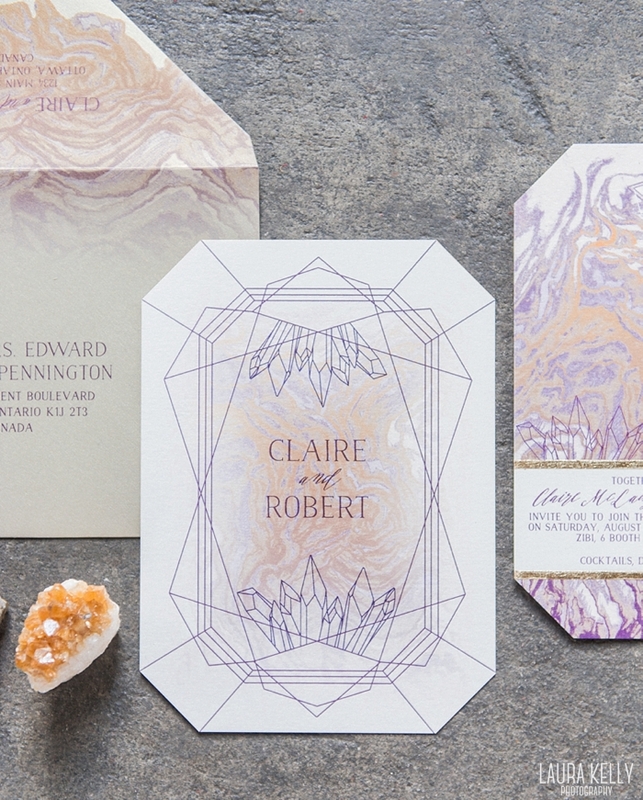 Another rule to throw out the window: Invitations shots have to be flat. The photo below was taken against a couch where the light was dreamy from a window across the room. Since the couch fabric wasn't an ideal backdrop, I used the crinoline from Amanda's dress. 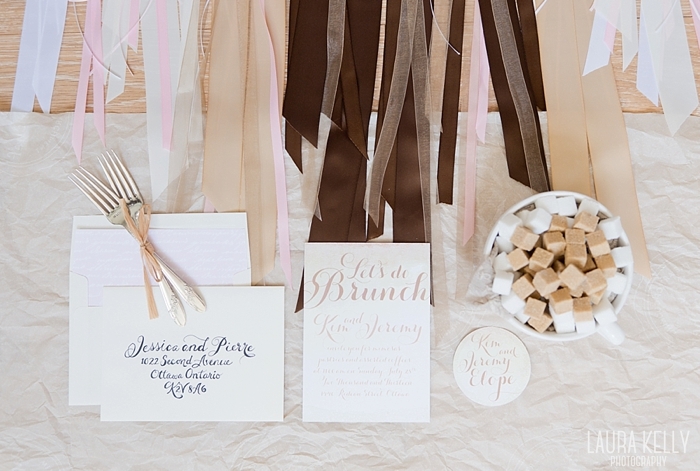 Don't forget about the other paper elements from the wedding! They need some love too :) I ask my brides to have a few copies of any paper good at the location where they're getting ready. 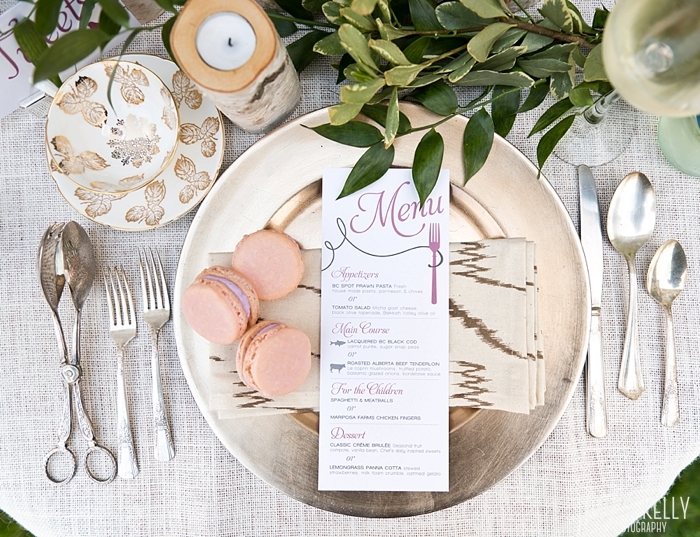 Save the dates, thank-you cards, menus...I want it all. Should I Do a "First Look?"